This custom engineered and designed K-12 six-screen Food Court Menu Board system includes one Greeter Board and five food station menu boards (Cultural Cuisine, Tasty Traditions, Deli Bar, Pizza Shack and A la Carte). 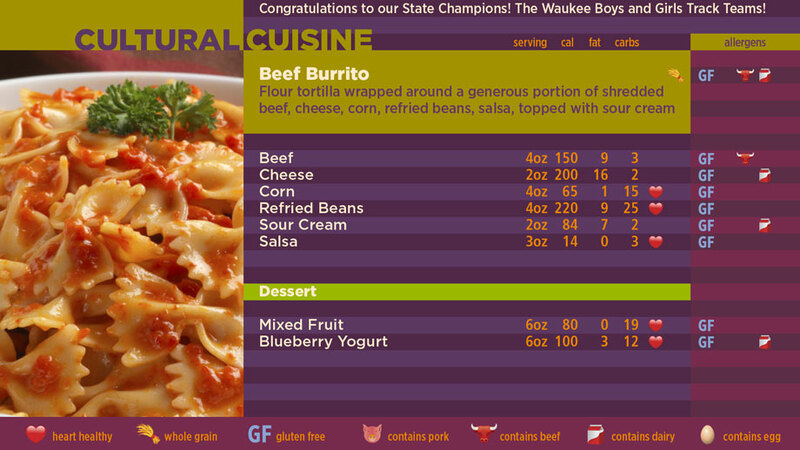 Menus automatically display by meal period (breakfast & lunch) on a 15-day menu cycle and include calories, fat, and carbohydrates along with nutritional menu labeling icons representing menu items that are heart healthy and gluten-free as well as icons for foods that include whole grain, pork, beef, dairy and egg. 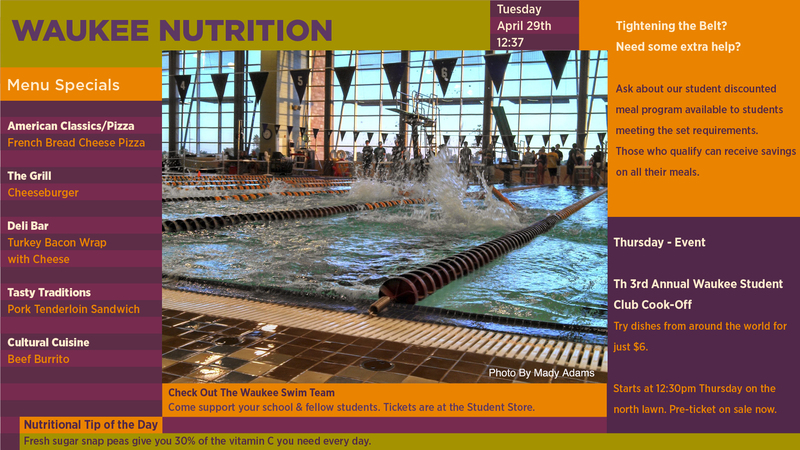 The Greeter Board features each food station’s daily specials, two looping text block announcement areas, a slide show with captions, and a Nutritional Tip of the Day.